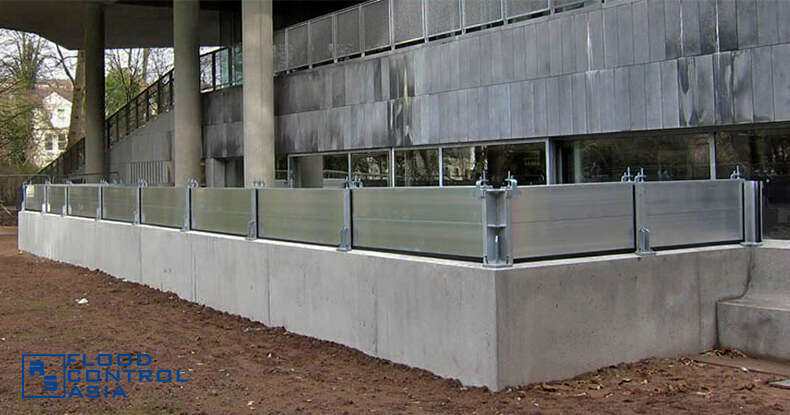 Toscana’s Wellness Center relied on flood barriers for protection. It’s wellness service just got better! To maintain a balance, people need relaxation – both of mind and body. Such is the reason why these days, wellness centers have been a common sight in communities. Some cater to bodily needs, like spa and massage clinics, while others go beyond with their therapeutic services. Since wellness centers have become important elements in a community, they, too, deserve protection against flooding. Bad Schandau is a town that sits right next to Germany’s Elbe River. Due to its captivating environment, Bad Schandau has become a “spa town” for tourists and locals alike. One of the numerous wellness centers that is located here is the Toscana Therme (therme is roughly translated as “thermal spring”). This wellness center is a magnificent structure by the banks of Elbe. When seen from an aerial view, the whole structure of Toscana Therme resembles a nautilus shell. However, Toscana Therme is not fully safe – at least from flooding. The River Elbe has a reputation of swelling when driven by a violent weather system. On August 19, 2002, the National Aeronautics and Space Administration’s (NASA) Earth Observatory reported that the River Elber swelled and caused one of the worst flooding in Europe’s modern history. The river’s tide rose to over 30.00 feet, and flooded streets in Czech Republic and some portions of Germany. The abovementioned incident is just one on Elbe’s long list of flooding episodes. 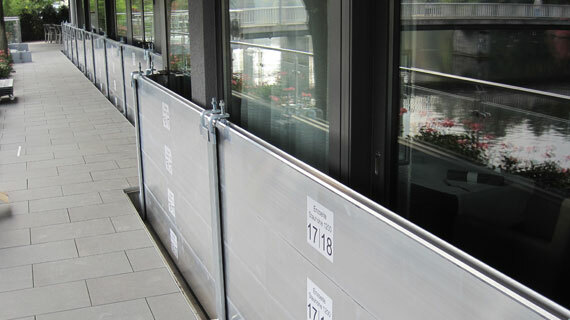 Because of this perennial flooding problem, the management of Toscana Therme decided on a protective measure that will make the whole building flood-free. The whole Toscana Therme needs protection, so flood barriers must cover not a mere part of it but the whole perimeter. The building, as mentioned, is shaped like a nautilus shell. 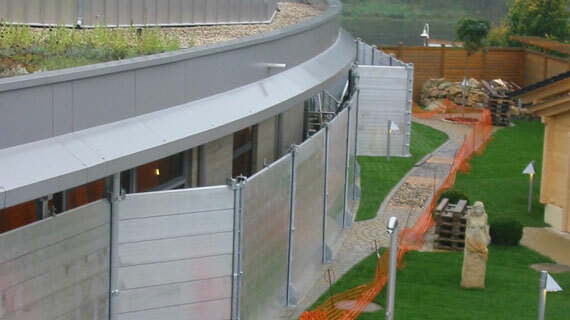 The flood defenses must conform to this form of the building, and not create a box-like formation around the perimeter. 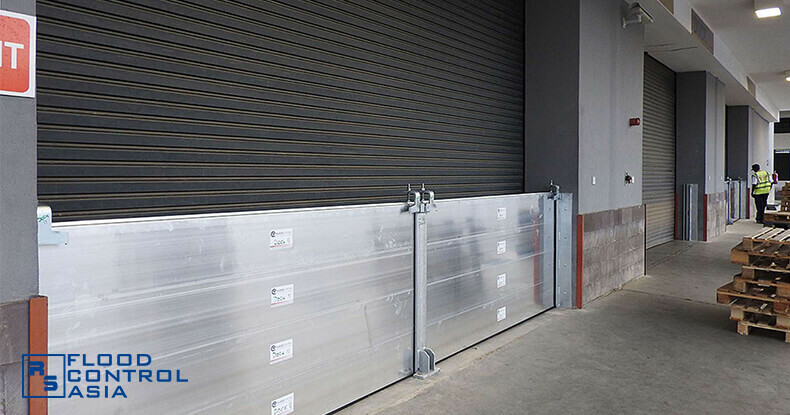 The flood barriers are considered as one of the most flexible flood defenses. Since they are removable, they do not necessarily alter the environment. 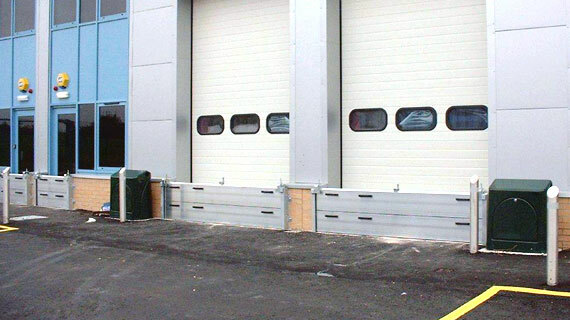 The best solution was to divide the flood barriers into sections instead of having them in a one long piece. This can be achieved by placing channels that will serve as angled points. When properly interspersed, these angels can create a circular formation around the Toscana Therme. There were 25 angles in all, and these 25 turns allowed the flood barriers to be wrapped the whole building inconspicuously. 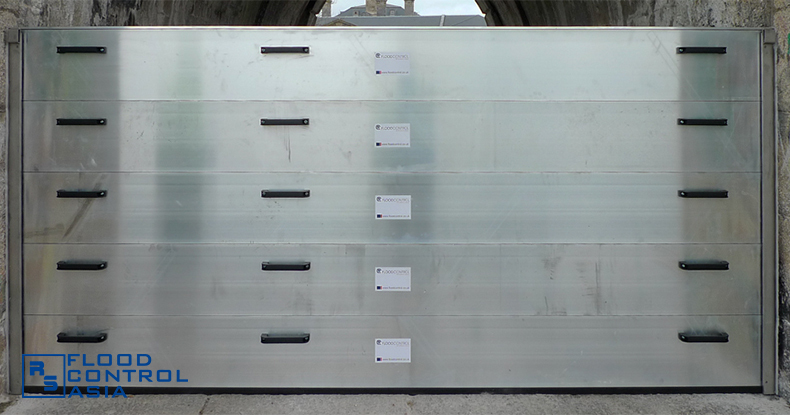 The flood barriers were erected at the height of 2.40 meters. 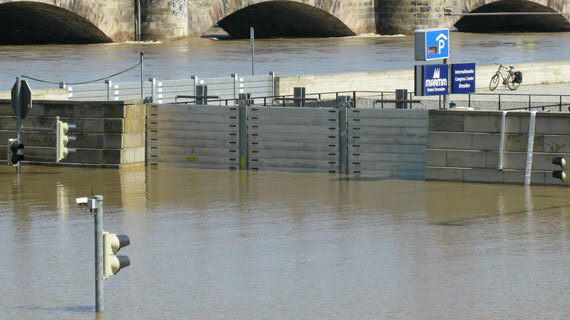 When laid in a straight line, the length of the combined flood barrier sets reach to 300.00 meters. 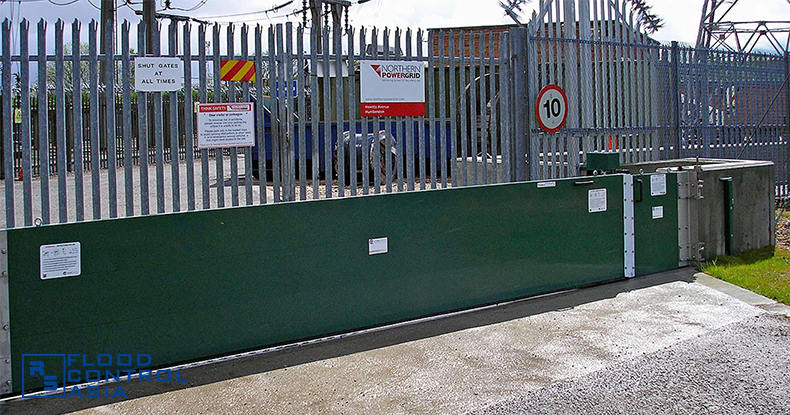 Some parts of this removable flood barriers can be removed so as to accommodate free passage in entrances that are not yet affected by flood. 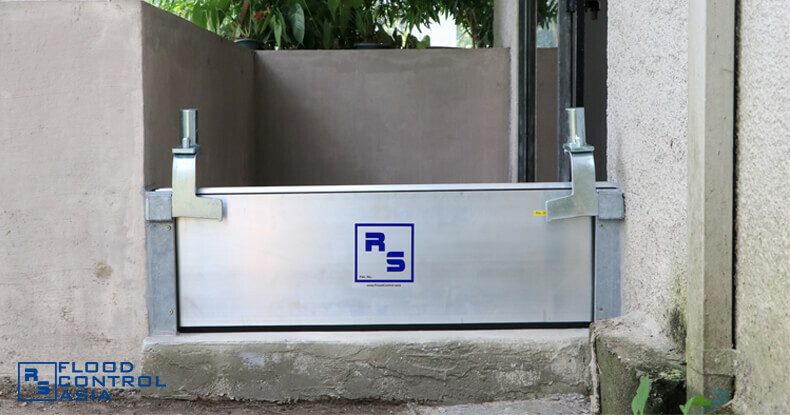 Nevertheless, all entrances can be safely and quickly sealed when the need to do so arises. Bad Schandau, dubbed as a “spa town” in Germany, is prone to flooding, as it sits on the banks of the Elbe River. In 2002, a report from the National Aeronautics and Space Administration’s (NASA) Earth Observatory said the River Elbe’s tides rose to a shocking level of 30.00 feet, a proof that the said body of water can cause devastating flood. One of the buildings at risk is the Toscana Therme, a large nautilus shell-shaped wellness center.